Everybody’s wish list is different when it comes to finding the right house, especially when relocating to Chicago’s northwest suburbs. The area includes corporate headquarters that rely on professionals to fill their workforce, entrepreneurs working from home, and people who want access to the city but not the fast pace and congestion. The northwest suburbs offer a variety of options and are close to O’Hare Airport. Homebuyers should prioritize what’s most important to them. The house and surrounding area should support what you love doing. For those who love the outdoors, find an inviting setting. Are there walking paths, trees and other natural spaces for you to enjoy? 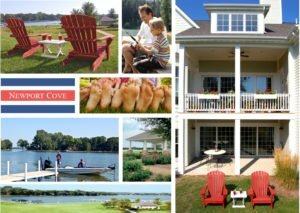 For those who love lakefront living, budget considerations may take you away from living on Lake Michigan’s shore, but there are beautiful alternatives along the Chain O’ Lakes. Proximity to a lakefront, marina and fishing pier is affordable. For people who love their work, find a house with space for you to work at home. For those who commute, look for good roadways and a variety of transportation options. For people who love cooking, even non-custom homes can feature a custom kitchen layout. The same holds true for your master bath. We all have preferences for how we want our master bath or kitchen arranged. Such flexibility should be explored when talking with a builder. For those who love entertaining family and friends, find a floor plan that is open and configurable so you can welcome everyone comfortably. Do you prefer existing homes or new? Do you like traditional, bungalow, craftsman or cottage-style houses? Find the exterior style you love, but make sure the house functions the way you want it to. Look at closet space, where the washer and dryer are, how cabinets and appliances are arranged and lighting – fixtures as well as natural light. Attention to these elements helps a house function well for the people living inside it. Not so apparent is the way the house is heated and cooled. Check to see if these systems are energy efficient. Air leaks, bad ventilation and poor insulation levels will raise your living costs and doom a home’s potential for energy efficiency. If you need immediate occupancy, look for an already built model. If you are relocating to Chicago’s northwest suburbs and can’t find the right house no matter where you look, build one, just for you and your lifestyle. In our planned community, we have immediate-occupancy coastal-style homes sized from 1,600 to 4,200 square feet. Or, we can custom-build your energy-efficient, high-performance dream house on one of our waterfront or off-water sites. 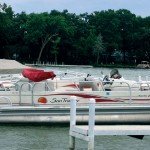 There’s no doubt we offer lifestyle – 42 rolling acres overlooking Bluff Lake and the Chain O’ Lakes, with 15 acres dedicated to park and open space, a 100-slip marina, good fishing, a mile of private walking paths and an array of wildlife.